Preparations to make the Old University Library on Mita Campus earthquake-proof has started. The deteriorated interior and exterior of the building will also be repaired. 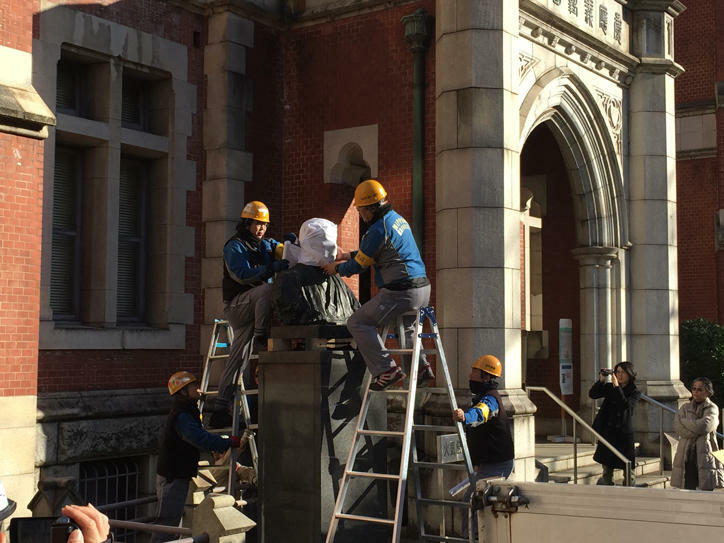 On Thursday, February 2, the bust of Yukichi Fukuzawa that stood beside the entrance of the building was moved to the front of the Mita Public Speaking Hall (Mita Enzetsu-kan). The Mita Public Speaking Hall (Mita Enzetsu-kan) was constructed in 1875. 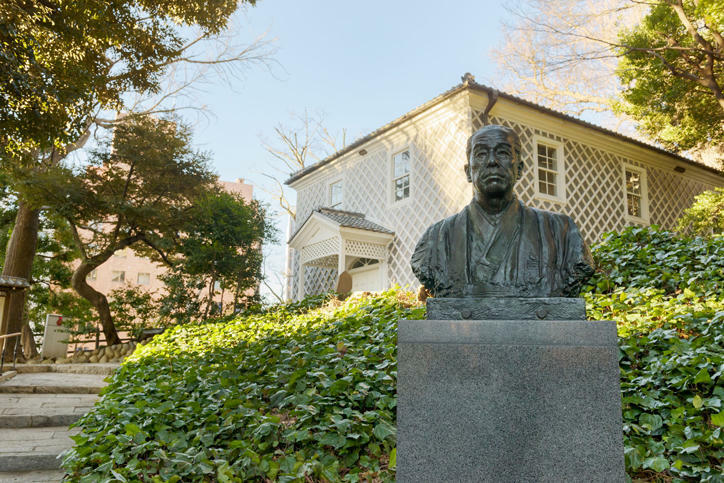 It was the first public speaking hall in Japan and it was rebuilt at the current location in 1924. This western-style building with a wooden tiled roof and namako walls is still used for official functions, such as lectures. 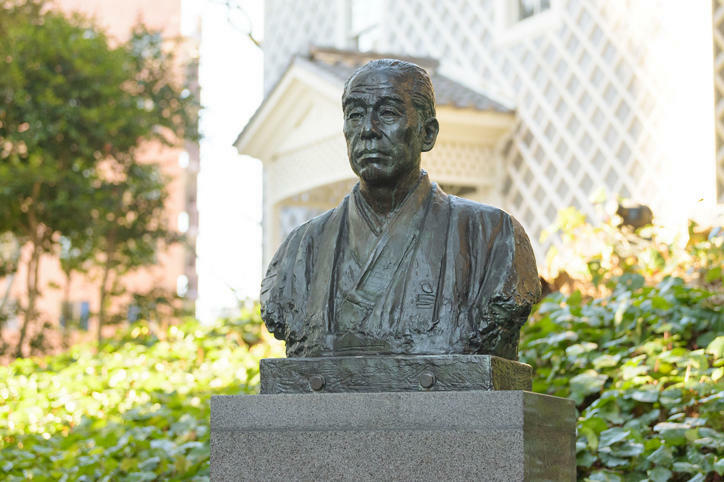 It was designated an Important Cultural Property in 1967 as a Meiji period building. 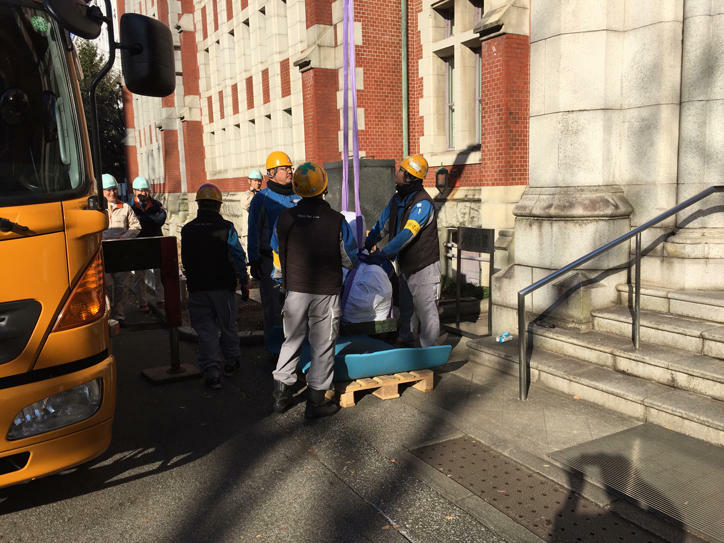 A temporary wall was put up around the Old University Library on January 16. The repair work is expected to take two years.